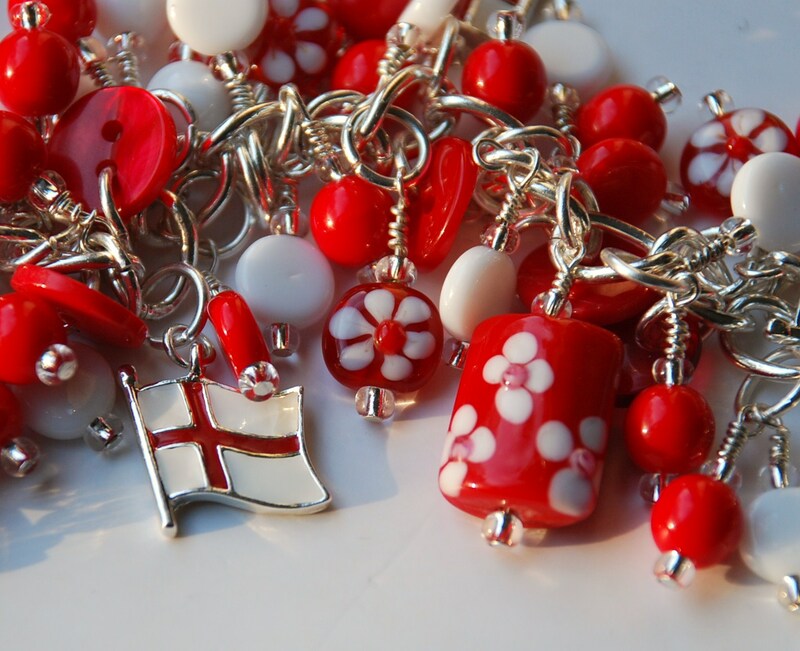 Took a gentle step back into my jewellery making after loss of recent mojo, with some earrings inspired by a good friend of mine, who a) loves earrings and b) loves England! A true patriot and supporter of all things purely English! 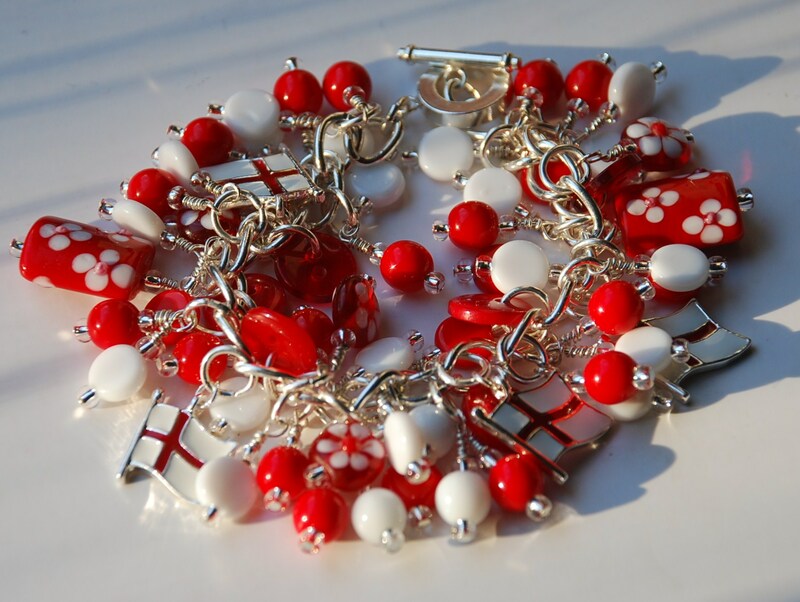 The earrings are perfectly feminine and dainty, featuring a trio of little red & white heart buttons, all held together with silver-plated jump-rings. They hang really beautifully, and I am very happy with them. There are five sets of these earrings for sale over on my Folksy shop… go take a look by clicking here!